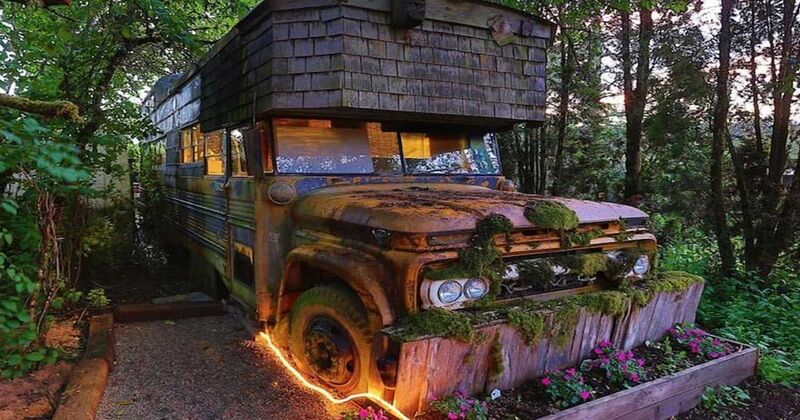 Follow the path of glowing LED lights to this private, hidden bus located on four acres in Oregon. 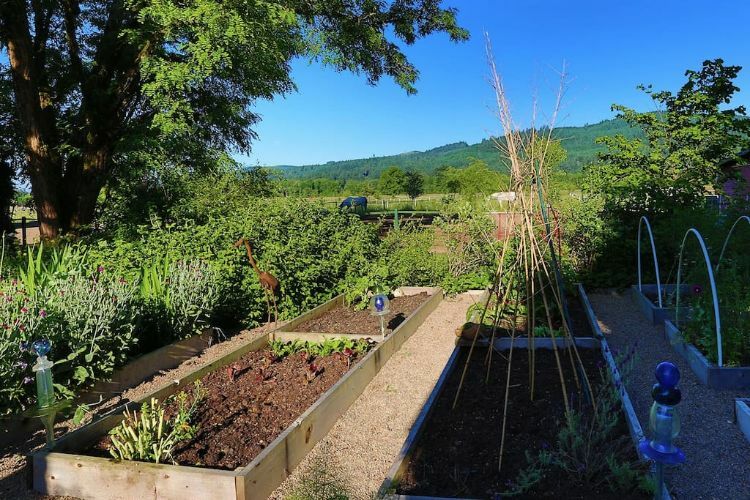 Seemingly out of nowhere you'll find a cozy, charming conversion all to itself, with a stunning garden view and plenty of greenery and flowers. It feels almost like a hidden clubhouse or a secret retreat, and that's only part of its magic! 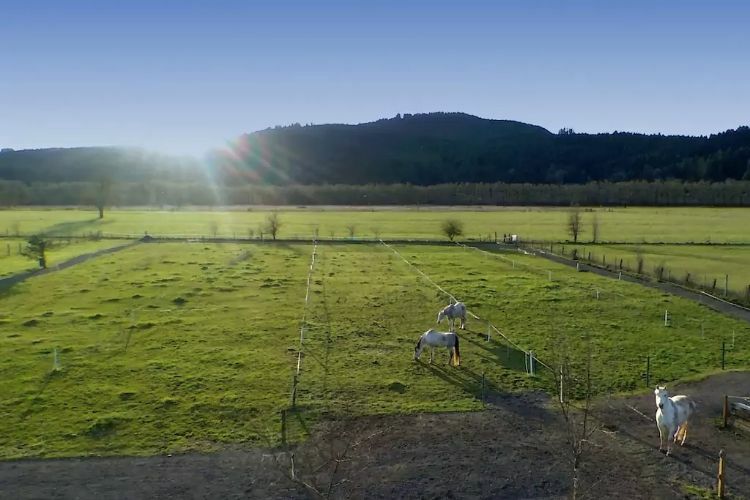 Surrounded by cherry and plum trees, horses, cows, sheep, and gorgeous, sweeping land, this country vacation home may be secluded, but it's fully packed with everything you need for a comfortable, convenient stay. 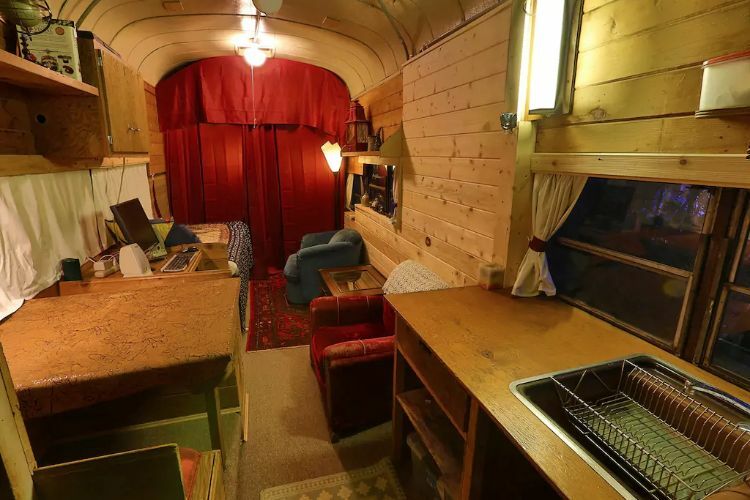 As you walk into the bus, you'll feel more like you're walking into a rustic cabin in the woods than a converted bus! The wooden interior definitely creates the feeling of a true home, and little touches like curtains on the windows, comfortable blankets and pillows, and custom shelves make this space so special and unique. The space consists of a living area that can double as a small bedroom. The living area offers two comfortable chairs and end tables as well as a computer desk. Built-in shelves house books and movies, along with decorative items. The kitchen includes a sink, appliances, wooden counters, a double sink, refrigerator, microwave, and a cooktop. 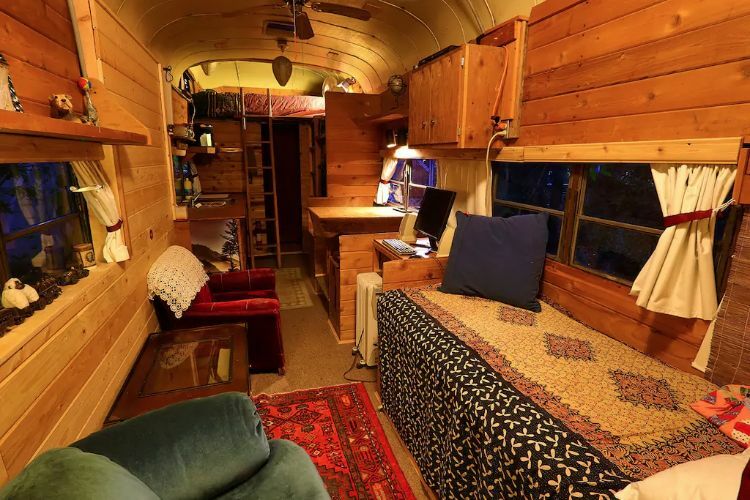 There's a small dining table with benches for eating, and the bus has heat and air conditioning to keep you comfortable no matter what the season. 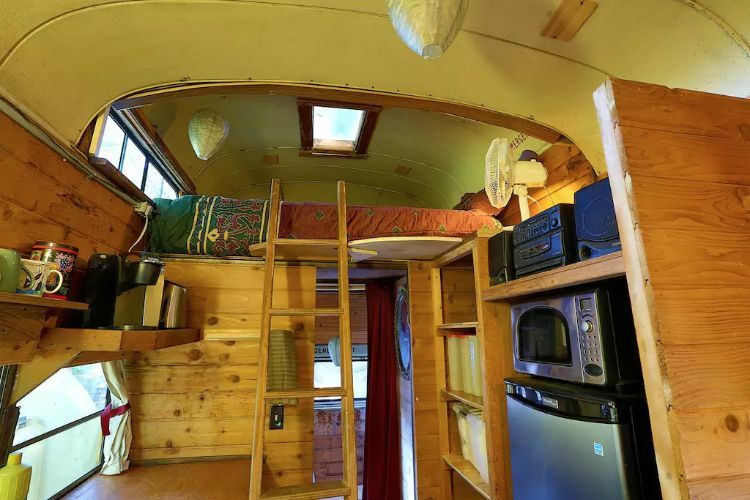 The coolest part of the bus is the loft! The ceilings have been extended to accommodate a sleeping loft that is large enough for a king-sized bed! It really will feel like you're sleeping in the coolest clubhouse ever as you ascend the ladder to the loft. There's even a skylight! Notice the vast entertainment options the bus affords; there is a television and Blu-ray player, computer, stereo, and multiple books and movies to pick from! Put a kettle of tea on and enjoy relaxing and unwinding! 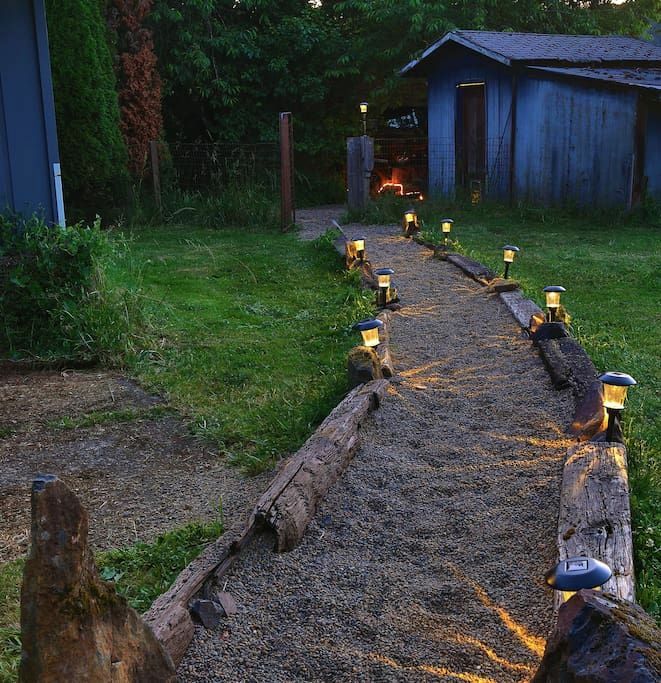 Follow the lighted path to a private bathroom that's solely for bus guests. 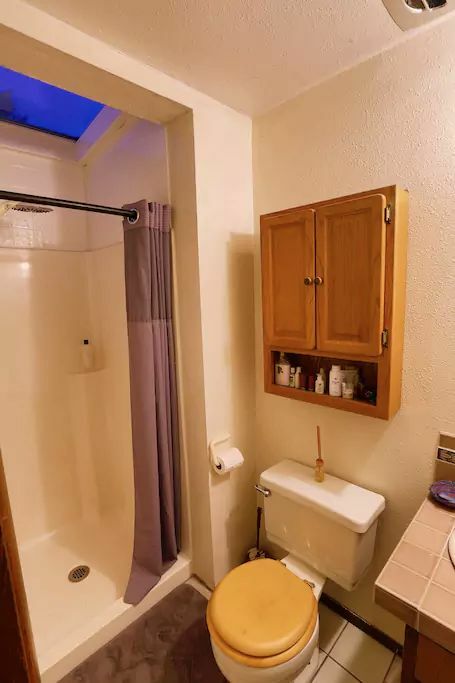 The bathroom offers a sink/vanity, toilet, and stand-up shower, along with storage cabinets. You'll wake up in the morning to the sounds of livestock, and stellar views like this! You can only get this in the country. The air is clear and the silence is punctuated only by cows and horses! 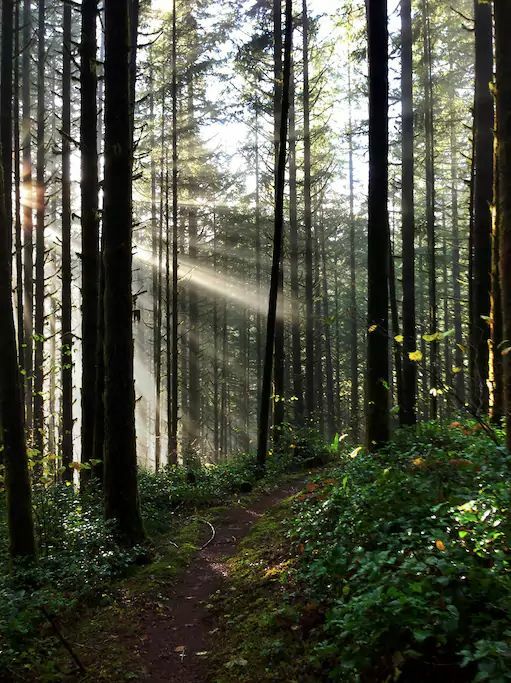 Take a hike through the forest and enjoy everything nature has to offer. The garden view from the bus is really cool. If you love nature and want to feel like you're sleeping in a garden getaway, this is definitely the spot for you!